While in Yaounde, she paid courtesy calls on the Minister of State and Secretary-General at the Presidency, Mr Ferdinand Ngoh Ngoh, Prime Minister Joseph Dion Ngute, delegate in Charge of Islamic Affairs, Mr Adoum Garoua, and other senior government officials. During these meetings, discussions focused on ways of further strengthening the close ties between WHO and Cameroon to improve the health of people. Dr Moeti also led a WHO delegation to meet the Honourable Minister of Public Health Dr Malachie Manaouda, and other senior officials of the Ministry. The two parties held a working session on a range of health issues including strengthening the health system, revitalizing primary health care and humanitarian emergencies. Minister Manaouda thanked WHO for its sterling support to the country and looks forward to continuing mutually beneficial relations with the Organization. The Regional Director further visited a primary health center in Biyem Assi, a suburb of Yaounde to acquaint herself with the country’s efforts towards universal health care. Speaking to reporters during the visit, she said: “It is at the district hospital level that we can measure progress towards universal health coverage. I am very impressed by what I have seen here: prenatal care, HIV-AIDS screening and positive test results being referred to the same hospital for appropriate treatment”. She praised the good work being carried out by health professionals in collaboration with the local community to improve health. She also toured the Chantal Biya Foundation’s health facility which provides maternal and child care services for the under-privileged. 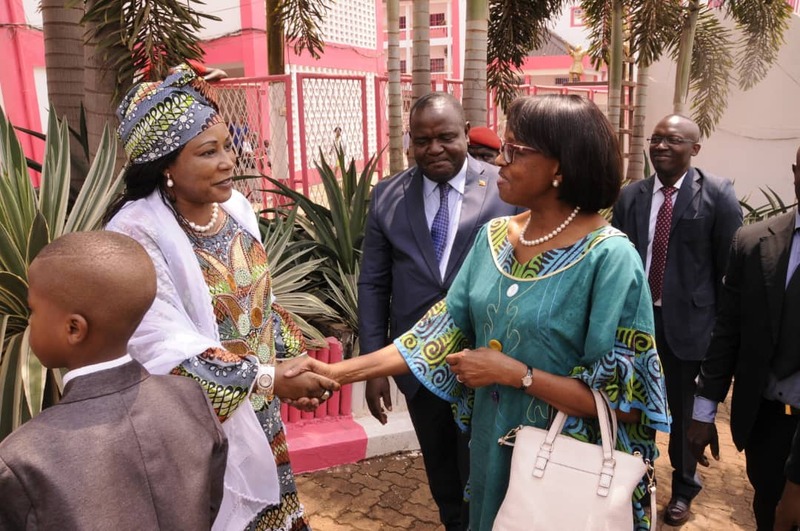 Dr Moeti also held meetings with the United Nations Country Team in Cameroon and other bilateral and multilateral partners to discuss UN reforms and coordination of international health partnerships to support the country’s health sector. She was accompanied by Dr Benido Impouma, Programme Area Manager, Health emergency information and risk assessment and Dr Hippolyte Kalambay Focal person for Health Systems strengthening at the Inter-country support team for Central Africa in Libreville, Gabon.